From the moment it was announced, Metal Gear Survive had an uphill battle to fight. Gamers quickly rallied behind Metal Gear godfather Hideo Kojima after his tumultuous departure from Konami. The announcement that a series spinoff survival game was coming only added fuel to the fire. Metal Gear Survive has arrived and now that the dust has settled slightly, how did it turn out? I’ll admit that it hardly made a blip on my radar leading up to launch, and I was even somewhat apprehensive about reviewing it. Managing the vitals of a character and building structures seems better suited for The Sims or Tropico games than Metal Gear. 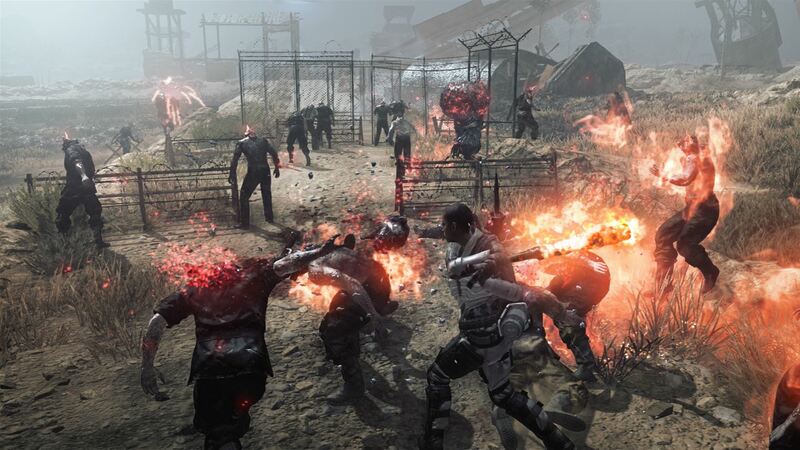 When I finally dug my heels in the sand and gave Metal Gear Survive a chance, I found an experience with both engaging and frustrating elements. It’s a game that most will judge without spending a single minute playing; but those who do will find a slow burn, a game where you only get out of it what you put in. There is a long series of cutscenes and story elements that explains why you are in this fight for survival. It turns out there is an entirely different dimension called Dite, completely inhabited by wanderers. These wanderers were once human and inside them is a powerful energy source called Kuban energy. This energy is incredibly sought after and can shift the balance of power in our world. After reaching Earth through a wormhole, wanderers are deemed a threat to humanity and a team was dispatched to eliminate them in both our world and on Dite. Contact was lost with the team and they are assumed dead; your goal is to collect their research data and search for survivors. Of course, you cannot travel to Dite with any stuff, so its up to you to inhabit the fallen squad’s former base, scavenge for resources, survivors and answers. 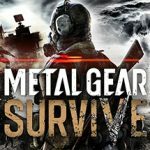 Metal Gear Survive is a third person stealth/action game that plays similarly to previous Metal Gear games. 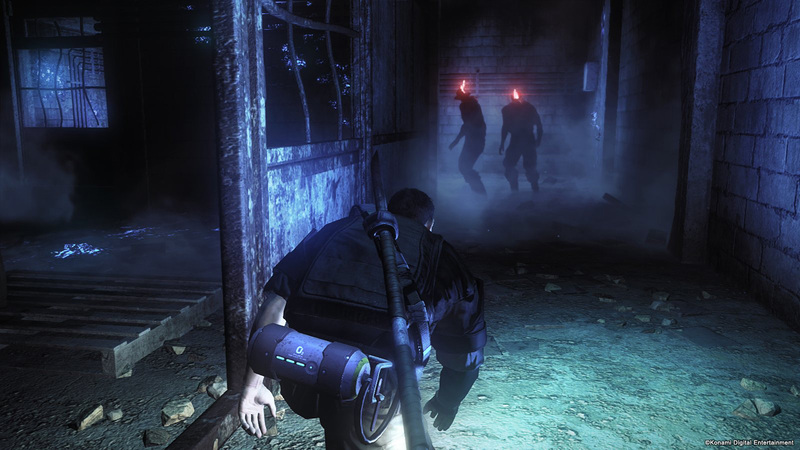 You can sneak, crawl, shoot, melee enemies and collect resources all with ease. When you begin playing, you realize that this base you inhabit is nothing more than some scattered defense barriers and a few areas for crafting. In addition to your guide from Earth, Goodluck, a support A.I. known as Virgil AT-9 is present at your base. While Dite has a similar environment to Earth, one major difference is the Dust, which covers most of the area. The Dust is extremely toxic and hard to see inside of; the only way to navigate through it is with an oxygen tank. If you find yourself low on oxygen, it can be replenished slightly with Kuban energy, which you harvest from dead wanderers and Kuban plants. Kuban energy is also used in crafting items and leveling up your character, which means you have good incentive to kill as many wanderers as possible and take their Kuban energy. Things start off simple, craft a thrusting pole weapon and go hunt for food. After sneaking up on an unsuspecting sheep and killing it, I collected its meat and fur and crafted it in to food at the campfire. Your hunger and thirst meters play an important role in gameplay, as both must remain satisfied for survival. It’s smart to hunt and cook meat before heading out on a mission, although rummaged berries and vegetables can also be eaten. Clean water is not always available, leaving you no choice but to drink dirty water. This poses a risk for sickness however, which will affect your ability to regenerate health if left untreated. Once hunger and thirst are non-factors, you can set out and collect resources of all kinds. Iron, wood, plastic, fuel…all of it can be carried with you. Your character will eventually be unable to hold more items and move slower. This is a good time to return to base where everything you’ve collected is dropped off. All these resources are used in crafting items such as: weapons, defense barriers, work stations, clothes, medicine and plenty more. 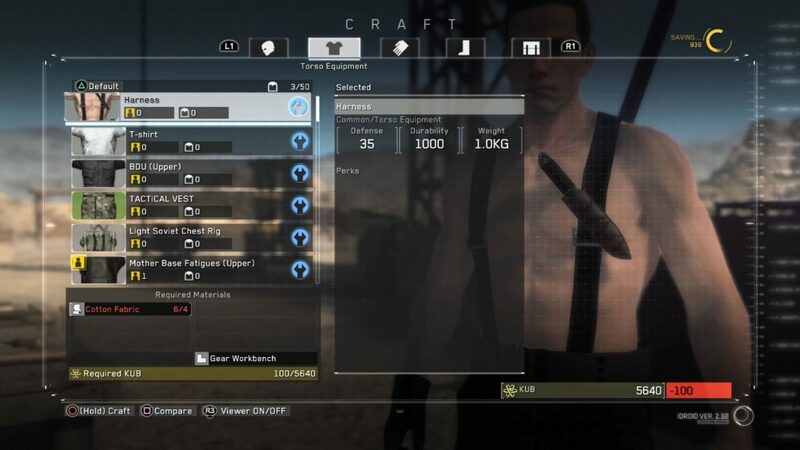 Crafting is easy to perform and once you’ve made items you can equip them or store them for later. Assigning the items to your controller was hard to get the hang of at first as was finding the right one in the heat of battle. I was eventually able to appreciate being able to carry so many things at a time like defense barriers, two-handed weapons, one handed weapons and throwing items like Molotov cocktails or lures. It’s important to be fully stocked on items every time you set on a mission, because if you die you lose everything collected after leaving the base. Unfortunately, this led to feelings of wasted time when I was mere seconds from completing a mission and had to start it over again. I suppose it adds more tension, but player-beware for a handful of frustrating defeats. Crafted items can be strengthened and repaired as well. As the story progresses you discover fast travel stations that allow you to move across the large map instantly. Your guide will also pick up signals from survivors in need of rescue, once rescued they can be put to work on the base. As the base numbers grow, so will the need for more food and sleeping quarters. Schematics for more advanced structures will eventually be unlocked which means you can build more elaborate weapons, items and things such as farms or rainwater drums. Your base will eventually be attacked by wanderers, so setting up a defense perimeter is important if you don’t want your structures destroyed. Managing the base is quite a balancing act, but things are implemented so gradually that I was able to pick up the fundamentals easily. There is a co-op multiplayer mode that involves defending a base with your friends and collecting resources to help you out in the single player mode. I feel it’s also important to touch on the number of microtransactions in the game and how important they are to the experience. The current headline is that it will cost you $10 to unlock a second save file, so keep that in mind. I don’t have anyone else playing games on my profile, so this was a moot point for me. There are also a lot of microtransactions in the marketplace ranging from $0.99-$49.99. These are known as SV coins and they’re used to increase productivity on your base in a variety of ways. I never spent a single penny on extras and I never felt like I was missing out on anything. While I think that charging for a save file is very shady, at least the price of Metal Gear Survive is less than full at $39.99 USD. A bold move considering 1-2 of these Wanderers could easily kill my avatar. The survival mechanics are a real slow burn that I can see many players getting turned off from within the first hour. As you explore more areas and collect Kuban energy, your player becomes stronger, unlocks new perks and can build more advanced items. Story missions on your map are clearly identified and there are always side objectives like unlocking new fast travel stations or searching for drop boxes that are scattered about. There is even joy to be found in exploring randomly and stocking up on resources. No matter what you choose, there is always something to do in Metal Gear Survive. The game has a similar look to its predecessor, Metal Gear Solid V: The Phantom Pain. Because your character is created at the beginning, they obviously cannot be as detailed as Solid Snake or a pre-set main character. Still, I felt my avatar looked pretty good, but it didn’t matter for long as I equipped him with a mask. The trademark Metal Gear Solid sounds are all here from picking up items to hearing an alerted enemy. The voice acting is a little hit or miss, but overall, I found it to suffice in both cutscenes and during gameplay. Transitions between gameplay and cutscenes felt smooth and there were minimal loading times on my original Xbox One; I’m happy to see that it is Xbox One X enhanced as well. Stealth killing a wanderer from behind is always my preferred option. Don’t forget to harvest its Kuban energy. The best way to approach Metal Gear Survive is to treat it as a brand-new entity and not part of a historic franchise. 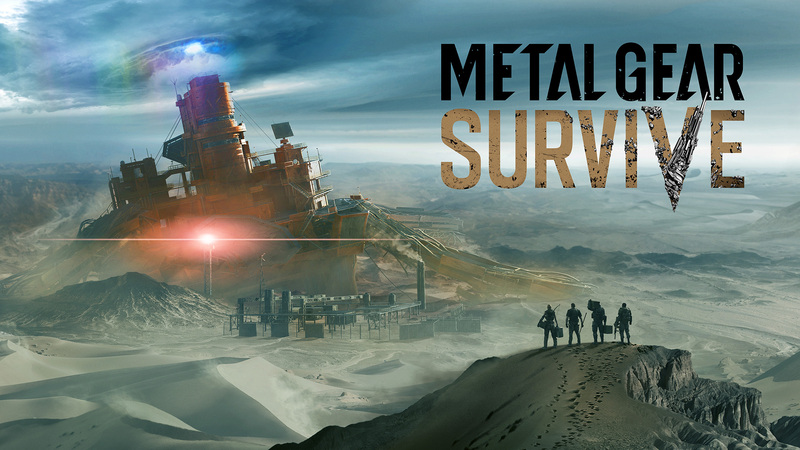 Yes, we all know Kojima got screwed and there’s a bunch of microtransactions in the game, but players should at least attempt to appreciate Metal Gear Survive on its own merits. While the slow-paced survival gameplay will turn some away, I felt satisfaction in methodically preparing for missions and completing them. Contrarily, I had moments where I shut the game off in frustration due to dying and needing to start over. There is legitimate value at $39.99, as completing all missions and unlocking the full map will take plenty of time. What you have here is a quality survival experience, but those looking for tactical espionage operations might want to keep looking.